Abundant waters pepper the states of Mecklenburg and Brandenburg, lacing them with rivers, streams and literally thousands of small and large lakes. Castles perch on the shores of medieval villages, and resorts bustle on Lake Müritz, the largest lake confined within Germany’s borders. 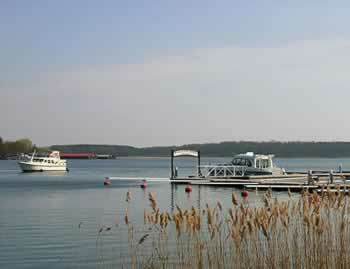 Mecklenburg-Brandenburg Boating Vacations usher you into paradise for lovers of Nature. Please note that all cruises in Mecklenburg/Brandenburg require 3 hours of dedicated instruction. It is required to arrive at the base at 1pm on your departure day to get this instruction. If you already have a valid boating license, you will only be required to get an hour long instruction and you don’t need to be at the base at a certain time. Cruising in Germany is relatively easy and is suitable for beginners. Traffic can be heavy in certain places, and caution is needed on big lakes if the wind kicks up. Please note that certain areas in Germany require a boating license for safety reasons and you will not be able to cruise these waterways without meeting the license requirements. Please refer to the map for full details. Foreign licenses can be reviewed for validation by German police, please send your license to our sales team so that we can verify they are adequate with the local authorities. Locks on the Brandenburg and Mecklenburg waterways are fully automatic and manned or automatic with self-service. There is no charge to use them. •Opening hours: Locks open 08:00-20:00 (8:00 p.m.) from May to October and 09:00-16:00 (4:00 p.m.) daily in April. •Public holidays: Locks are open on public holidays. Full-service marinas with all amenities are available. Moorings are plentiful along the german waterways. Abundant waters pepper the states of Mecklenburg and Brandenburg, lacing them with rivers, streams and literally thousands of small and large lakes. Castles perch on the shores of medieval villages, and resorts bustle on Lake Müritz, the largest lake confined within Germany.html" class="orange" >Germany’s borders. 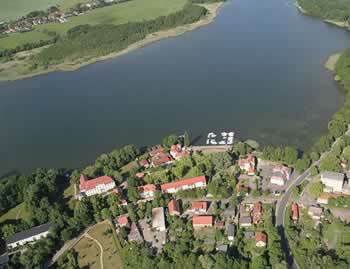 Mecklenburg-Brandenburg Boating Vacations usher you into paradise for lovers of Nature.